The Italian fly fishing magazine "Fly Line" has been successfully published by Roberto Messori for more than 30 years and is therefore one of the most important witness of the fly fishing scene in Italy. Robert Messori has also been publishing pioneering books for fly tiers, which are now partly available in German, French and English. The books of Roberto are characterized by great fly patterns, numerous high-quality photosynthesis and an impressive depth - every little detail in the tying process is explained in detail! The philosophical and artistic veins of Roberto, as well as his partly British humour, make sure that the books are often anecdotized, which makes us fly fishermen smile, but also partly reflectively. 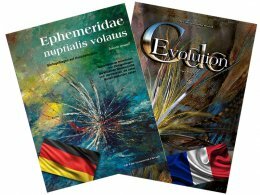 We do not know any comparable high-quality books for fly fishing and fly tying in Europe and therefore we decided to gradually distribute the most important works of the Fly Line publisher. If you are really interested in getting the best fly dressings for successful fly patterns, the books of Roberto Messori are a must!